Most of my camping experiences have been at one of my favourite parks. Quetico Provincial park, north of boundary waters canoe area wilderness. How did I find this Park? Well, I happened upon it by accident really. I couldn’t even pronounce it when I found out I was going to go there for a summer to work, but I got on the plane and ended up going back for 9 summers. Quetico is one of those rare places left in the world where you can still escape civilization. You can get away from planes flying over head, cell and even satellite phones, and mostly people. It’s one of those places where there are still fish in the lakes, the water is fresh, the air is clean. I’ve been in the park and not seen a single soul for days on end. Pure bliss! 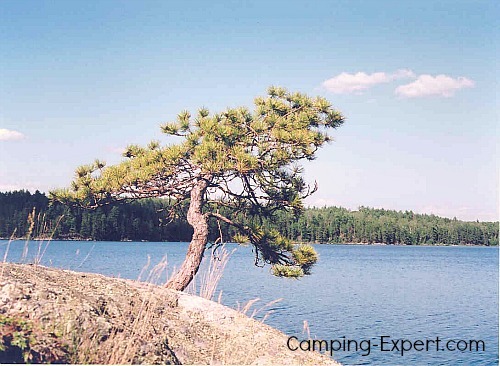 What kind of camping can you do in Quetico? Quetico is mostly an interior Canoe camping park. However there is one part of the park – Dawson trail where there is beautiful drive in camping with full services, lake front campsites and even excellent evening entertainment for the kids. There are hiking trails at the drive in camping, a beautiful beach and picnic area. In the winter they also have several winter cross country ski trails as well. If I want an easier canoe route, which one should I take? No route in the park is particularly ‘easy’. However if you want a more relaxing trip, then choose the routes with the fewest portages and the shortest portages. You will see more people, but you will also not have as strenuous portages to carry all of your stuff. Also, if you want a more relaxing trip, travel fewer kilometers per day. 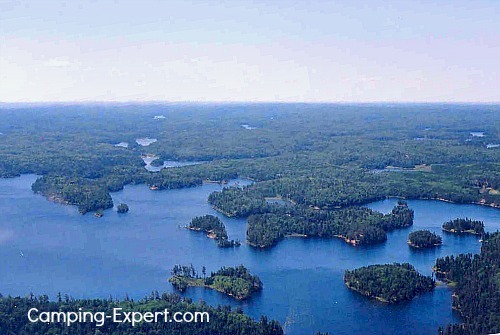 Some of the more popular and populated lakes (which isn’t saying much, you just won’t have the WHOLE lake to yourself) are Pickeral, Russel, Sturgeon, Quetico, the falls chain and Saganagons Lake. If I want to get away from it all, which route should I take? If you want to ‘get away from it all’, the longer the portages you take, and the deeper into the park you go, the fewer people you will come across. Also, during late August – Early September, there are fewer visitors to the park, so even the ‘busier’ routes have fewer people. A challenging route to escape civilization and challenge yourself is to enter through French lake and continue to Baptism Creek and onto Cache lake and Mackenzie lake. The portages are long, but there aren’t too many people that want to truly have an outdoors experience and fully appreciate nature. What’s the most difficult experience you’ve had in the park? I remember telling one of the park wardens, that I was planning on doing a trip to Sturgeon lake and also into Ram Lake and Antoine lake. He suggested coming and going in through the northern portages. I thought that he meant to enter through the north, and exit through the south, so we paddled in. Portage number 1 and 2 were great. Upon seeing the portage, from Antoine, it looked flat and easy, however upon starting, the portage started straight uphill. That wasn’t the only barrier to Sturgeon though. There were almost 3 dozen fallen trees that we had to climb over and crawl under only to be greeted by a giant puddle of muck at the end. Boy we felt we’d accomplished a lot after conquering the trail! What are the least prepared people you’ve seen in the park? I’ve met campers that did not know where they were in the park, and asked us to point where we were on our map as they did not know how to read a map or use a compass. I also met 3 guys who had one canoe and they filled it nearly to the top with equipment- from a cooler to lawn chairs, and everything in between. They filled the canoe on land and then one guy got in the back and the other two attempted to drag the canoe into the water. They ended up unloading the canoe and re-loading it in the water (at my suggestion). They then went on their way. I was surprised that their canoe even floated! What are the Ranger stations? Southern Entry points: Beaverhouse, Cache bay, Prairie Portage. Northern entry points: Lac La Croix, French Lake - Dawson Trail, Quetico Park Head Quarters. To keep the park as pristine and wild as possible, each entry point has only a certain number of groups that can enter from each Ranger Station, so it’s important to book in advance, particularly if you are a non-resident of Canada or are using a non-resident outfitter. · Winds tend to travel West to East, so it’s preferable to travel west to east unless you want to face a head wind. · Ask about any Bear problems in the park, and make sure to not camp on that lake or the lake before or after. 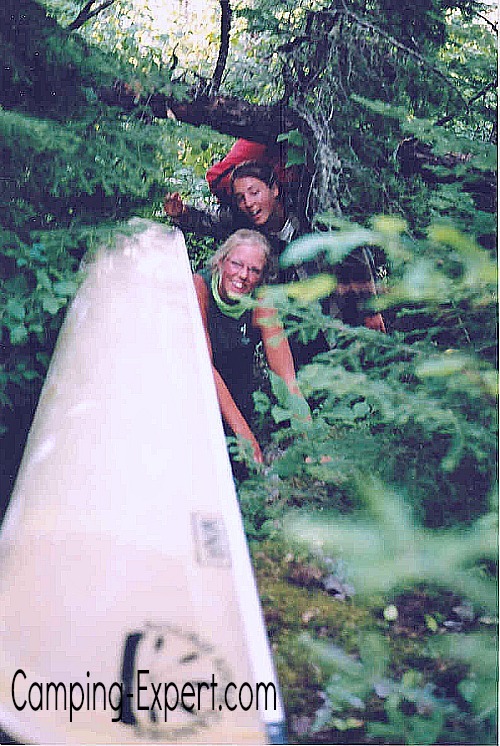 There are many rules that are special to Quetico to keep it as wild as possible. Some important ones to note include barbless fishing hooks only, artificial lures only (no minnows or worms allowed), no glass or metal jars /bottles for food, groups of 9 or less. 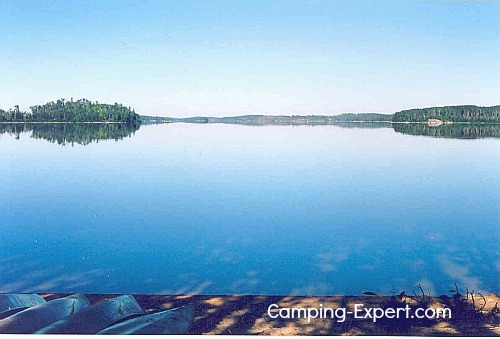 Quetico park is a quality versus quantity kind of park, so it’s not super cheap to camp in the park and you will probably need to reserve early in the season, however, it is totally worth it in my opinion. You won’t be disappointed.